The story of one crayfish that tore off its own claw to avoid being cooked in a Chinese restaurant has proven that every single creature on this planet is the master of its own fate. 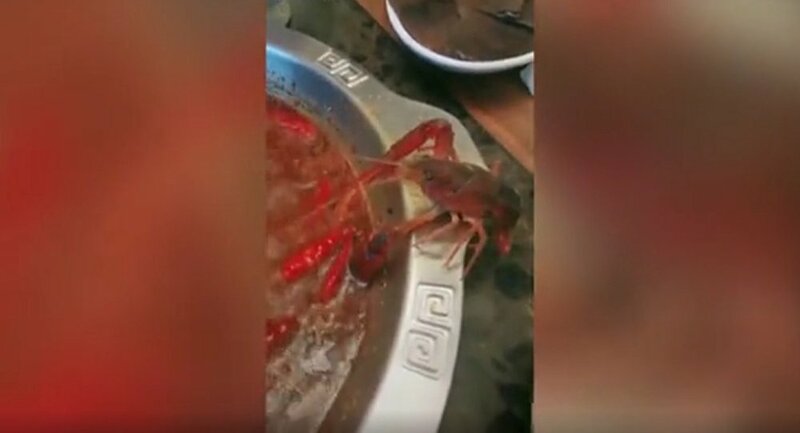 As a video shows, the crustacean’s survival instincts went off scale as it didn’t hesitate to sacrifice its own claw when it came to running away from a hotpot, in which it was being cooked alive. While the crayfish got away to his sweet escape across the dinner table, the diner, known on Weibo as Jiuke, made up his mind to adopt the crustacean instead of tossing it back into the boiling water. “I let him live, I already took him home and I’m raising him in an aquarium,” Juike said, as cited by the Taiwan News.